That is the case of a Million plus website on the Internet; People Spend Money To Register Website Name, Spend Money To Get Hosting Plan and Other Fees but end up with zero traffic and no ranking on search engine. 14. When not sure, hire professionals: Though it may seem costly, it is a lot less expensive than spending your money on a website which no one visits. 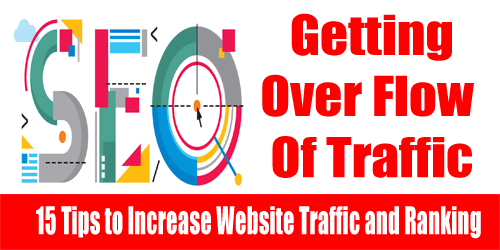 1 responses on "15 Tips to Increase Website Traffic and Ranking"